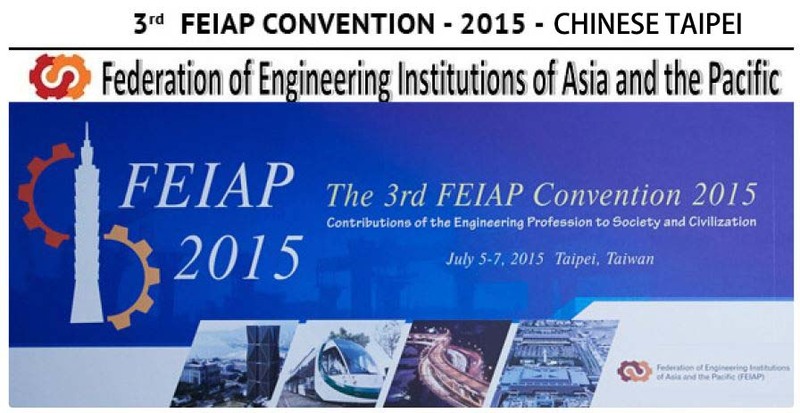 The Federation of Engineering Institutions of Southeast Asia and the Pacific (FEISEAP) is an international non-profit professional organization founded on 6 July 1978. Its establishment following an exploratory meeting convened and organised by The Engineering Institute of Thailand under The King’s Patronage with the support of the United Nations Educational Scientific and Cultural Organization (UNESCO) on 3 July 1978 in Chiang Mai. 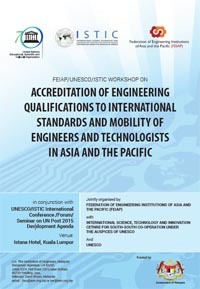 Being an independent umbrella organization for the engineering institutions in the Southeast Asia and the Pacific region, the objectives of FEISEAP were to encourage the application of technical progress to economic and social advancement throughout the world; to advance engineering as a profession in the interest of all people; and to foster peace throughout the world. 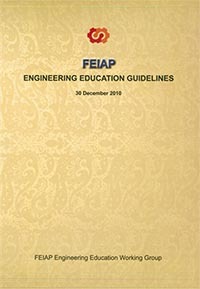 The Federation was, itself, an international member of the World Federation of Engineering Organizations (WFEO), that pursues objectives similar to those of FEISEAP on a global scale. The Constitution of the Federation has been amended several times at its biennial General Assemblies. At the 14 th General Assembly of FEISEAP held in Cebu, Philippines, on 26 November, 2007 the question of the continuation of FEISEAP was discussed. It was unanimously agreed at that General Assembly, that the Federation should continue provided that its Constitution was reviewed to more clearly define its objectives and to broaden the scope of economies eligible for membership. This version of the Constitution is the result of that review and consultation with all Members. 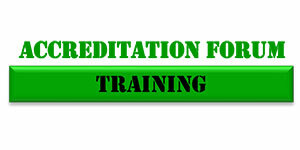 It was unanimously adopted by the Special General Assembly of the Federation held in Hanoi, Viet Nam, on 2 June 2008. 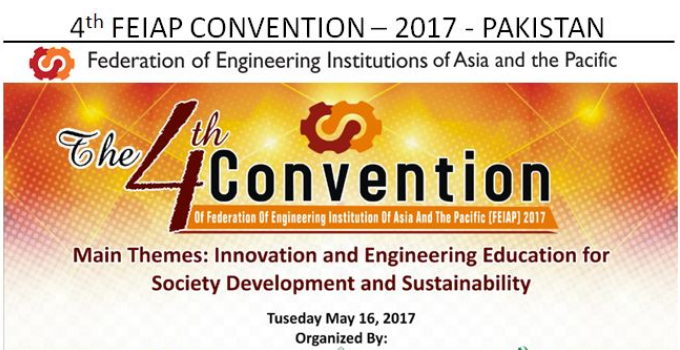 The Constitution incorporates a change of its name to the Federation of Engineering Institutions of Asia and the Pacific (FEIAP). The exploratory meeting on the formation of a Federation of Engineering Institutions of South East Asia and the Pacific was convened and organised by the Engineering Institute of Thailand under H.M. The King’s Patronage with the support of UNESCO. It was held in Chiang Mai from 3 to 7 July 1978. The objective of the meeting was also to bring together officials of national societies and institutions of engineers, and regional and international engineering federations, and those concerned with the express purpose of exploring the feasibility of creating a federation of national institutions of engineers of the South East Asian and Western Pacific region. Such a body would provide a mechanism for co-operation between engineering societies of countries of the region to assist in the development and strengthening of these societies; to speak on behalf of engineers of the region with international bodies such as UNESCO, UNIDO, ESCAP, WFEO and ICSU; and to promote the advancement of engineering science and practice especially with regard to regional economic and social development, and the education and training of engineers and technicians. Participants at the meeting included the Presidents. At the 16 th General Assembly FEIAP celebrated its 30 th Anniversary in Bangkok, Thailand on 25 November 2008 and a new logo was accepted at this General Assembly, with its two rings symbolizing the Asian and the Pacific regions and the gears the engineering profession as can be seen above. 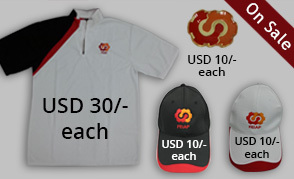 Currently FEIAP has a total of 20 member economy.